Brass Floral Leaf Sprig with stone sets, in our Aqua Copper Patina (Copper plated brass base finished with a distressed aqua patina). 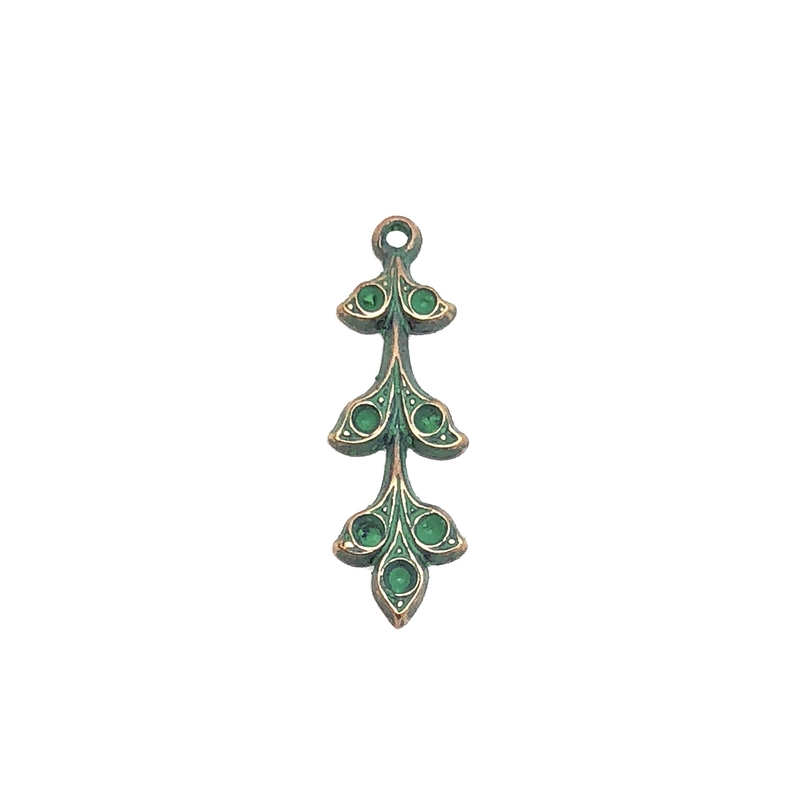 Hanging hole makes it perfect for a beautiful dainty pendant, earrings, or a charm. 21 x 9mm. Sold by the piece.